Comfort – The most important consideration is that the desk and chair should be kid-sized. The child should be able to sit comfortably with her elbows on the desk, back against the padding of the chair, and feet on the floor. For this, a chair that is adjustable in height is a terrific idea. 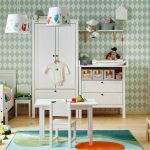 Looks – Look for a desk and chair in a similar style as the rest of the furniture in the child’s room. A chair in a fun, bright color looks good and a sleek desk in a modern, practical design works best for kids. Storage – Think ahead to the school years and plan how much storage the child will need. Drawers below the table, a corner workstation, an add-on hutch above the desk and open shelves for often-used items, or a combination of these can be used for storing books and supplies. If your child is an avid reader, you may want to ensure that there is enough space to display her growing book collection too. Lighting – Good lighting is critical to avoid eye-strain, so choose a desk that can be placed in a well-lit area or has integrated desk lighting included. Computer-friendly – At some point, your child will require a computer, so it is a good idea to invest in a desk with a keyboard drawer and cable outlets at the back. 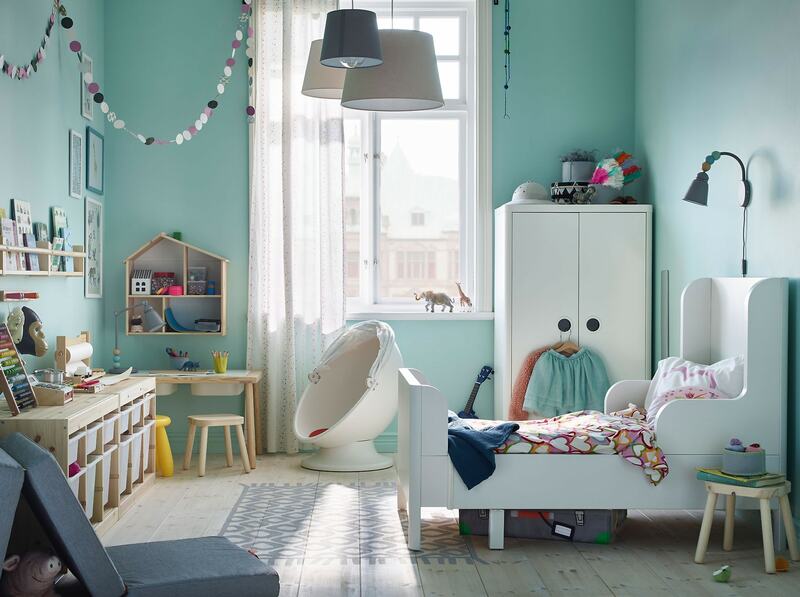 Accessories – Your child will need space to store and display precious items collected over the years. An open shelf or cabinet is ideal for this purpose. Also see if a whiteboard or pin board can be added to the desk as this will help them stay organized. Your child’s growing years are precious. Putting up the right study tools and organizing that perfect workstation would lead to a fun filled and productive learning experience!